Sophisticated & Dazzling, Welcome Home to an unrivaled residential experience in Little Italy. Located in iconic DOMA Loft Bldg, the residence transcends your expectations for exceptional Urban Living. 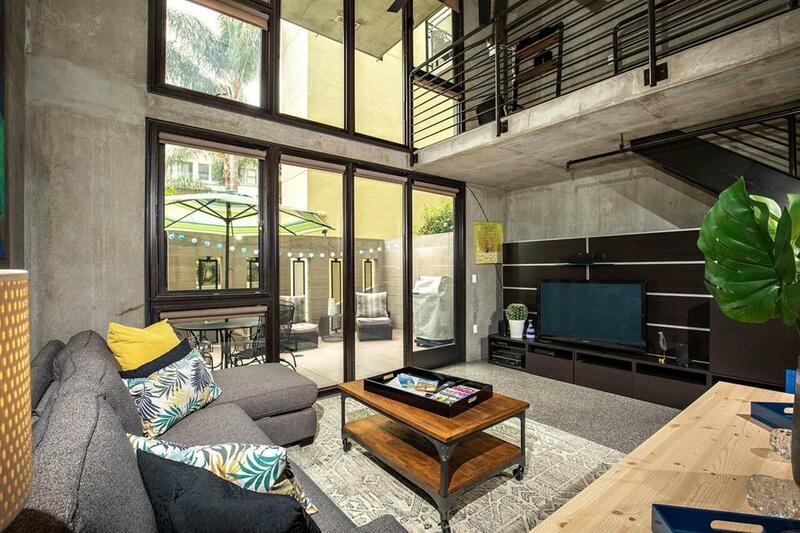 Upon entry you are captivated by a 2 story wall of windows opening to the tranquil courtyard. Home also has an expansive entertainment terrace. 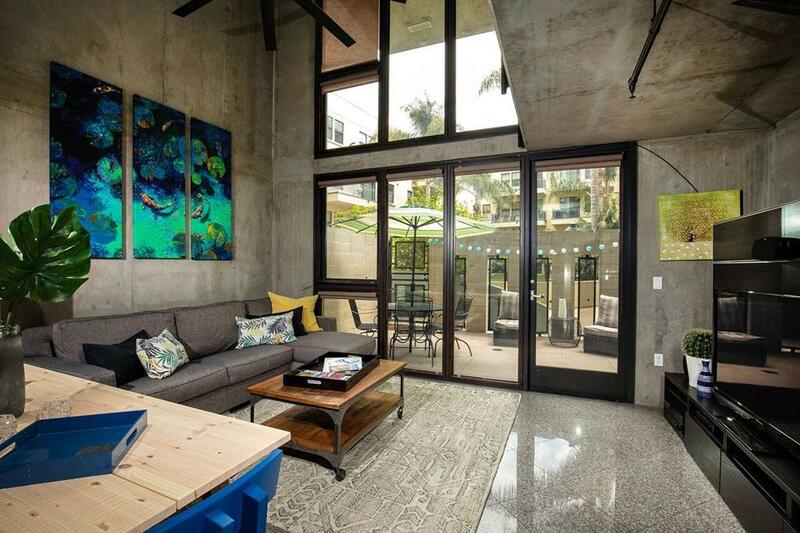 A compilation of concrete, metal, wood & glass creates a symphony of architectural excitement. 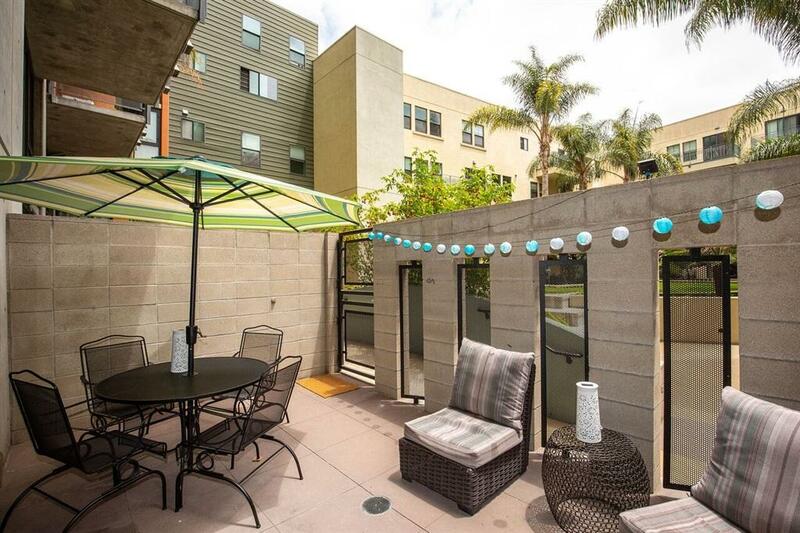 DOMA amenities include spa, gym, & rooftop BBQ deck with bay views! This unit is one of only three homes featuring the oversized ground floor terrace. The overall design of DOMA is masterful and the details of this particular unit are no exception! You will love the sleek stairwell that leads to the catwalk, which runs down the side of the home back to the bedroom. There is a full size laundry closet and a half bath on the upper level. Significant upgrades have been completed including a new HVAC system as well as professionally installed metallic epoxy flooring upstairs and industrial ceiling fans. The bedroom loft features a spacious master bath with soaking tub and separate shower. Also, a huge walk-in wardrobe is the perfect finishing touch. The home feels every bit as cool as the best lofts in Chicago, NYC or San Francisco. Located just a block away from possibly the greatest Italian neighborhood on the West Coast and maybe even the country. It is situated perfectly so as to take advantage of everything within a few minutes walk. Little Italy sports the finest in restaurants, shops, galleries, pubs and community gathering. The Farmers' Market each week is renowned as one of the best in the city. The home feels every bit as cool as the best lofts in Chicago, NYC or San Francisco. 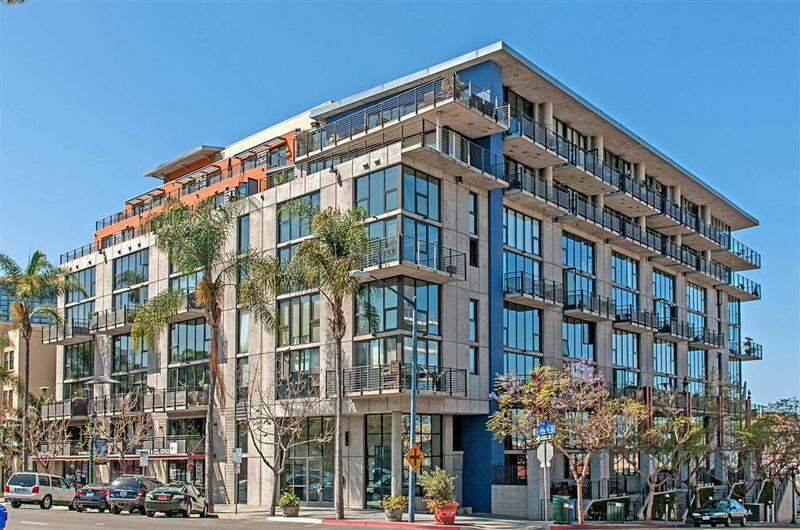 Located just a block away from possibly the greatest Italian neighborhood on the West Coast and maybe even the country, it is situated perfectly so as to take advantage of everything within a few minutes walk. Little Italy sports the finest in restaurants, shops, galleries, pubs and community gathering. The Farmers' Market each week is renowned as one of the best in the city. Keep in mind that Seller may also be willing to negotiate the furnishings, which could potentially make this the perfect turn key opportunity or ready-to-go rental!